Found this at the magazine stand at the central station. I highly recommend it. 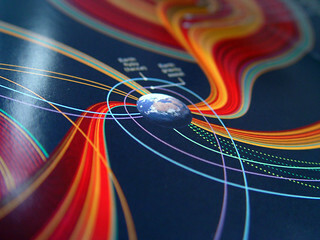 The most important space photos of the recent years and some excellent information graphics. This particular image shows a close-up from one of them. See ngm.nationalgeographic.com/2008/10/space-issue/table-of-c… for more.